The best way to be happy and content is to want nothing, cling on to nothing and just be! 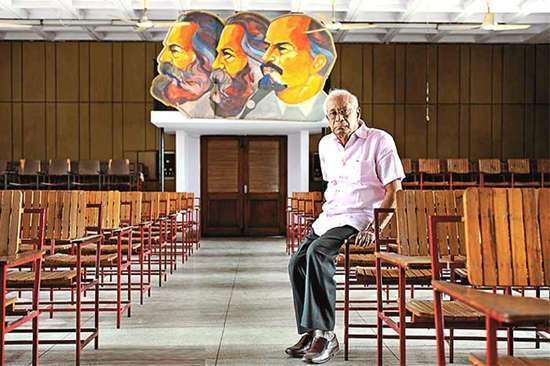 Three weeks ago, veteran Communist leader (CPI), A.B.Bardhan, passed away. I am not a communist. But I admired Bardhan’s simplicity, integrity and down-to-earthiness greatly. Even so, I was surprised when I saw a picture (see below) going viral on social media. 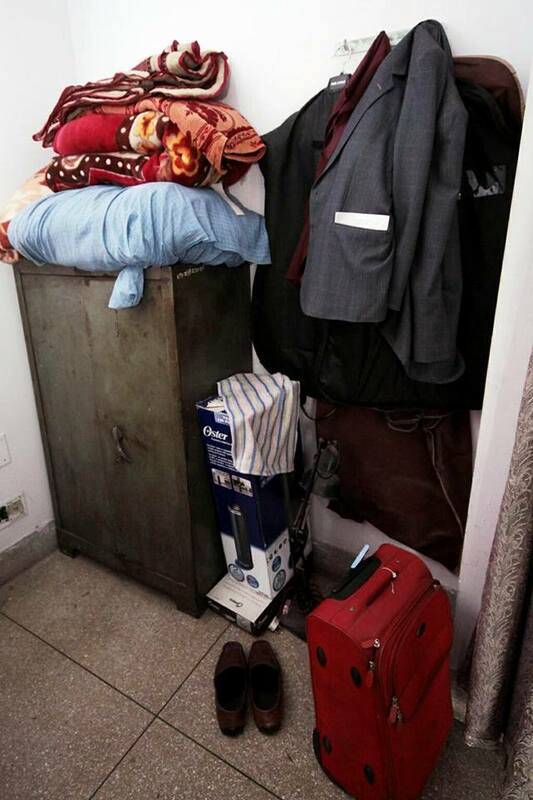 Shot by someone called Bhupinder and shared by Bardhan’s close associate Vineet Tiwari, a writer from Indore, the picture shows the only possessions that Bardhan left behind: a rusted almirah, some clothes, a pair of shoes and a red suitcase that he used while traveling. Bardhan, I gleaned, did not even own or rent a house – after his wife Padma passed away in 1986, he moved into the CPI headquarters in New Delhi, Ajoy Bhawan. I have never known Bardhan personally. So, I am not sure if he was happy or what his idea of happiness was. But going by the tributes that flowed upon his passing, I believe that he was a much loved and respected man. My own admiration for Bardhan grew exponentially when I saw the picture. I have learnt from Life that minimalism – the art of living with bare essentials – is the key to happiness. Isn’t it a great idea to live with just a few sets clothes, and perhaps a passport if you love traveling, a mobile phone and a laptop with high speed internet connectivity? You may want to consider owning a house if you can afford one, or perhaps just rent one. After all, at the end of the day, you just want a roof over your head, meaningful work to do and some food to keep your body nourished and healthy. I am reminded of a Zen story. A visitor arrived at the home of a Master. The home was just a small hut. It was absolutely barren. No furniture. No bed. The Master sat and slept on the ground. He ate fruits from the orchard in the neighborhood and drank water from a stream nearby. He had one robe which he washed and re-wore every day. That’s what we all are. Mere visitors on this planet. And to live here – and be happy – we need nothing more than the bare essentials! For almost 7 years now, my wife Vaani and I have been following a simple principle: anything, barring our passports and important documents, that we have not used, we have been giving away – every six months. This process helps us sustain a free flow of positive energy while keeping our home clutter-free. This energy, we realize, is the key to inner peace and happiness. 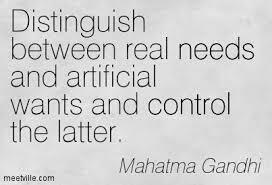 Each person’s idea of peaceful living and therefore their version of the bare essentials will vary. But our experience has been that the lesser we want, the lesser we cling on to, the happier we are. Choose what you need, drop your wants, and you will always be happy – despite the circumstances! There was once a time in my Life when I did not know the difference between what I wanted and what I needed. I was driven by an urge then to gratify myself every single time that I thought of acquiring something. I wasn’t a spendthrift exactly, but yes, I indulged myself a lot in acquiring material stuff that enhanced the quality of my Life’s experiences. Then, Life’s Master Plan pushed me and my family to a state when we could not, on our own, even afford what we needed – bare necessities like food, clothing and a roof over our heads. Yet, with amazing grace, we always got what we needed. Our needs were eventually fulfilled, each time, in the nick of time. One moment it would appear as if we did not have something and suddenly someone would walk into our Life and give us what we needed at that moment – this never happened in ways we could have imagined, but it certainly did happen unfailingly. This experience of being cared for and provided for by Life has helped me understand the difference between want and need. To be sure, intrinsically, all of us are simple folks. We know what we need. But it is when we start confusing our wants as our needs that we become dis-satisfied with the Life we have. In the days when we owned cars, I ensured that our Hyundai Accent and Santro were maintained in top-notch condition. Every time the cars got dented beyond an acceptable level or the upholstery got worn out, I would just sell the cars and buy new ones. I did not buy luxury cars. I simply bought the same models – Accent and Santro. And when I felt my cars needed to be changed, I was restless until I actually did that; a process that often took weeks. Over a 7 year period, I had changed my cars four times. This prompted one of my friends to quip: “Hey AVIS! You change cars as if you are changing your shirt!” I realize now that it was my want, my desire, to have gleaming new-looking and great-smelling cars that I was confusing in my head as a need to maintain them in “top-notch” condition. Today, I am car-less. The last car we had, a 15-year-old Mitsubishi Lancer, a gift from a friend in 2009, had to be disposed of in January 2014 because its maintenance costs were huge. Having got used to living without a car, using auto-rickshaws, Uber or Ola, to get around, I understand now that I don’t even need a car! Life is far simpler without one. I am not saying I will not acquire one. I well may – when I feel the need for it, surely not because I want it! Our wants actually enslave us, holding us hostage. Clearly when something is possessing you, like your want will, how can you be happy? The way to ring in happiness and inner peace is to understand what you need and be content with it. 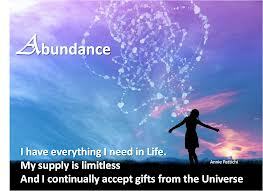 Even if you don’t have what you need, always trust Life to provide it for you. Letting go of your wants can magically transform your Life. Here’s a Zen story to illustrate the point. Someone asked the Buddha: “I want happiness. Please teach me how I can get it.” The Buddha replied: “Drop the ‘I’, drop the ‘want’, you will be left with ‘happiness’!” Beautiful, isn’t it?